Global 6sigma.com offers Six Sigma Certification and Training courses in: White Belt, Yellow Belt, Green Belt, Black Belt and Master Black Belt. Global Six Sigma also offers Certification and Training courses in Vancouver, British Clumbia, Canada: Lean Six Sigma, Design for Six Sigma, Green Process Management and Minitab. 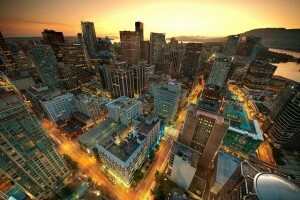 The number of jobs available in British Columbia has continued to fluctuate over the past few years. Vancouver has a population of over 777,400, and the employment percentage of the region was 77% in 2013, which was comparably higher than most. But in a booming economic infrastructure, organizations are more diligent with their candidate filtering processes when they are hiring. The national unemployment rate of Canada currently fluctuates between 6.7 and 7.3, and this can easily be called an alarming figure. Lean 6 Sigma Certification trains individuals to become better employees through courses that specifically target the enhancement of their skill sets according to organizational requirements. How Long is the Six Sigma Green Belt Certification Process? The most frequently asked question is about the duration of the process of acquiring a Lean Six Sigma green belt certification. To explain in the simplest of words, the amount of time taken up by the Lean Six Sigma training highly depends on both the efforts of the individual and the level of belt being attained. Let’s take an example; acquiring the most basic 6 sigma white belt may take no more than a few weeks, while if you opt for a lean six sigma green belt certification, which is of higher level training, it may take you up to 4 months. The Lean Six Sigma green belt certification program has been designed to help individuals perform better in the workplace and fulfill their organizational obligations more efficiently. Canada has areas with relatively strong economic ecosystems and organizations are always looking to hire candidates that fit their needs perfectly. Higher salaries and a greater amount of remuneration. More efficient and faster growth. A higher chance of employment. Better output in terms of quality and quantity. Can a Lean Six Sigma Green Belt Certification be Attained Online? While this may not necessarily always be the best idea, many organizations do allow Lean Six Sigma Green Belt certification to be attained online. But in some cases, this may be restricted to the training material available online and not the test itself. It is advisable that you do opt for the tests through physical platforms, because online training can only be attained for lower level belts like lean six sigma white belt certification. 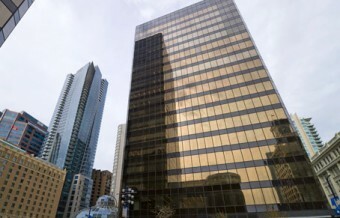 The office space in Vancouver Pacific Centre is in one of the most prominent buildings in the heart of the downtown business core. Located in a modern high-rise office building directly above the Pacific Centre Mall, there are breathtaking views from the 15th floor offices. The building has a beautiful atrium, with a cafe and comfortable seating area. Companies nearby work in a variety of industries including banking and other financial services, mining, forestry production, accounting and law. There are also plenty of hotels, restaurants, bars and shops within walking distance. Vancouver has ranked highly for over a decade in The Economist magazine's list of the most liveable cities in the world.